Which method makes the best coffee? Thread: Which method makes the best coffee? Wow not only we love and enjoy driving our Land Rovers, we also love making and drinking our coffees . Great stuff!!! I started my coffee addiction using a pot - Bialetti. Sad to hear them going Unders. Great devices those stovetop cafeterias. 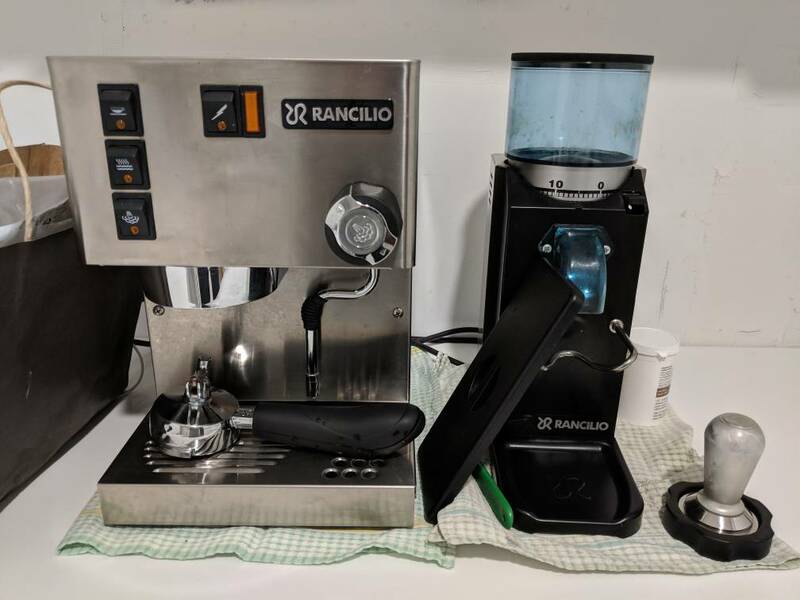 I have recently moved on from my Rancilio Silvia and Rocky Doserless Grinder. They were real machines - tough just like Land Rovers . Someone did mention just like defenders. 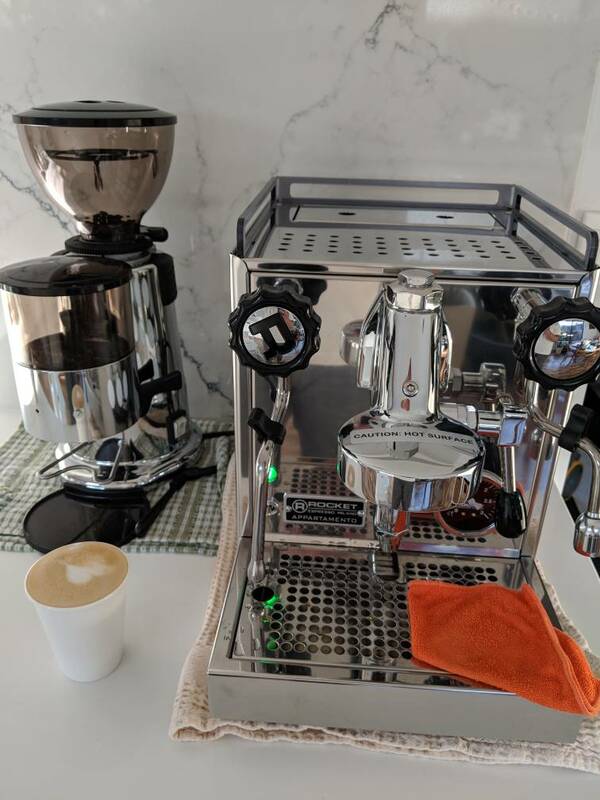 I recently renovated my kitchen; new kitchen = new coffee machine setup. Now have a Rocket Apartmento HX with a Macap M4 Grinder. Again, great machine especially with the e61 group head. Still getting used to it but takes time. Would that be compared with a D4? I am still onto the popcorn machine roasting, with thanks to tips from fellow coffee snobs at the snobbery. I used to read coffeesnobs.com.au religiously ... I now spend that time reading aulro! I developed a bit of an addiction ... to the machines, not the coffee. I also have a genuine Vintage Italian Vesubio CX9 Stovetop - in unused condition still in the original box. Would make a great camping set up for a milk based coffee drinker if someone is interested! The ECM, Superjolly and Behmor were purchased new, all others second hand ex commercial/office machines that have been overhauled. I can't rationalise it ... but I've enjoyed the 'bargain' hunting and the process of making them work like new again. > I used to read coffeesnobs.com.au religiously ... I now spend that time reading aulro! I read both lots! Both forums are superb. Yes, just found it on coffeesnobs. Nice. Fuji White MY13 D4 SDV6 SE 3.0 Litre, 8 spd auto. This thread is gold. It doesnt surprise me at all that there are so many coffee enthusiasts here.... I am pulling apart a 2 group commercial to adjust the rotary pump pressure and using a Scace to get the brew pressure just right and it feels so right...only thing missing is the grease and oil leaks. PS. I am roasting this weekend. The Super.Jolly doesnt bring out the florals as much as a large conical but man it smacks the chocolate notes out of the park. We are really getting down to little nuances but I generally prefer the shots off an SJ compared to a Robur or Compak equivalent. I usually have 10 shots daily. On a bad day I'll have a third. Even with doing 12.5 hours yesterday I only did two. Haven't been on coffee snobs in years. I do a lot of short blacks these days, you know if you're getting a good one or not drinking it sans milk. If I do a milk coffee it's a piccolo latte. One smelt burnt the other morning, taste was ok but a little off. Next one was fine. Mentioned it to to the cafe ownerand he explained how summertimes only one bean can get 'stuck' in the roaster and then go through wirh the batch. I was supposed to start at 7:00 but still sitting in the cafe with my second piccolo instead. Yes, I just make an expresso without milk in the morning at home. Work has both Nespresso and the Aldi pod machines, which are tolerable - certainly better than instant. Mentioned it to to the cafe owner and he explained how some times only one bean can get 'stuck' in the roaster and then go through wih the batch. Yep, its called a "black stinker" and it ruins the entire shot. After roasting I pour the whole lot into a wide flat, white tray and look for beans that are a different colour. Also look for small rocks, the same size of the beans. You will know when those hit your grinder burrs. Although they don't change the taste of the coffee. Once got a stone from a Costa Rican coffee, it was a small igneous rock from the Arenal volcano!